We are big into managing our kids’ screen time over here, and that’s no secret. Though we truly value all they can learn with the help of technology, and we also know that they need a whole lot of time away from the screen to keep themselves balanced and healthy. 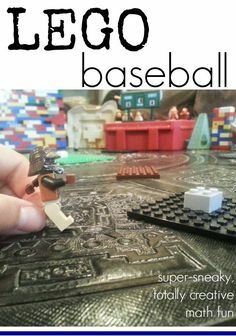 We also believe that kids need down-time in front of the ole television once in a while. However, we’re really careful about what we throw in front of them. So our DVR is packed with programs that we have chosen carefully–and we continue to choose carefully. Sure, it’s an ever-growing list, always changing with our kids’ interests and ages, but for a good 4-5 months, we stick with the same menu on the DVR. 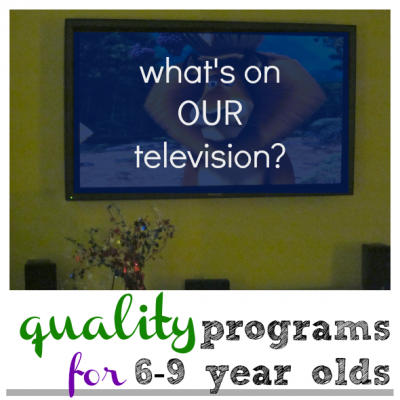 Our Fave Programming for 6-9 year olds: Right now, with a 9, 7, and an almost 6 year old in the house, our interests have changed a bit from where they were a few short years ago. Back then, we relied heavily on Sesame Street, SuperWHY!, Dora & Diego, Dinosaur Train, Little Einsteins, and Between the Lions. 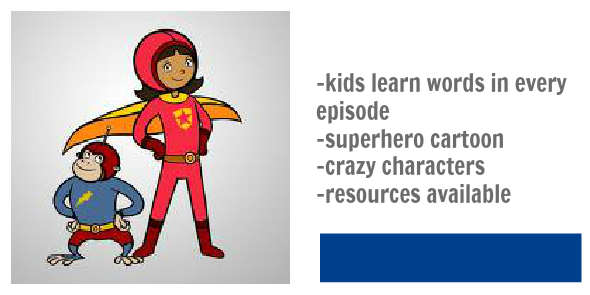 Word Girl: The whole focus here is words and word-learning. Which is why I totally heart it. And my kids love the crazy creatures and superheroes throughout. It’s big-time word-consciousness, to the max. 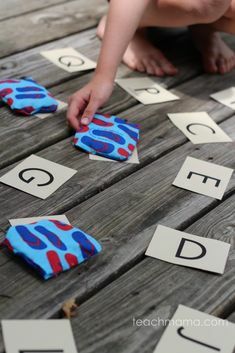 Playing with words and learning words and celebrating words. Sometimes, I wish they used words a little more kindly, but I may be a little hyper sensitive to those things. Where some parents don’t mind a ‘stupid’ or ‘dumb’ thrown in now and again, those words make me cringe. Overall, the learning and high-interest piece outweighs that occasional (grrr!) ‘dumb’. Wild Kratts: Maddy, Owen, and Cora totally love the Wild Kratts right now. And I’m over the moon about it. It’s a cartoon-real actor show, and I think they really dig that format. The Kratts are zoologist brothers who know everything there is to know about animals, so there’s definite learning in each episode. They find themselves in crazy situations, and each high-interest adventure seems to be more exciting than the next. The random–totally cool–facts that my kids can hit you with about animals I completely attribute to Wild Kratts. I particularly love the resources available for follow-up: PBS Kids has fab Wild Kratts resources online, available to anyone and everyone that focus on animals, learning, and fun. 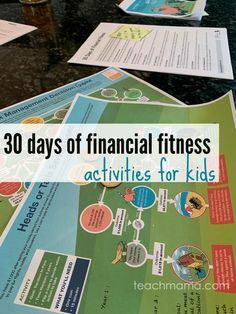 There are a bunch of printables and videos up there, too. 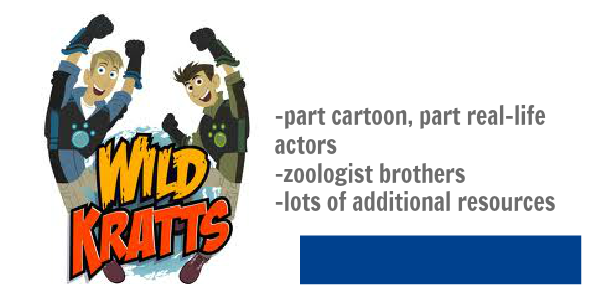 The Wild Kratts app is a huge fave of ours, and they just released the first Wild Kratts Creature Power app. It’s awesome, so I’m betting there will be plenty more to follow. 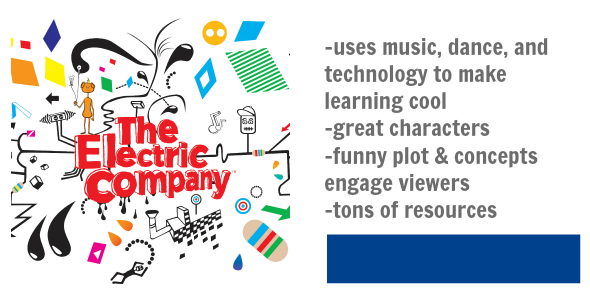 Electric Company: I love this show so much, I’d marry it if I could. Seriously fun music, dancing, and cool shorts all incorporated into a meaningful storyline make this a fave of mine. Songs about words and word-building. Songs about language with a crazy techy-edge. It’s a cool, natural next step to Sesame Street to me–and whenever my kids have it on, I’m glad. And similar to the Wild Kratts, the foll0w-up Electric Company resources on the PBS Kids are out of this world. 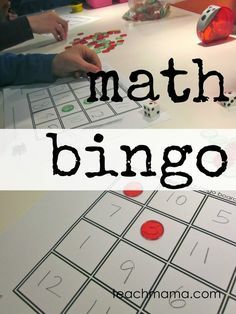 Games, printables, videos, and shorts–all great and totally well done. Fetch With Ruff Ruffman: Love. This. Show. And one of the greatest things as a parent is to find cool shows for your kids that you actually don’t mind sitting down with them and watching. 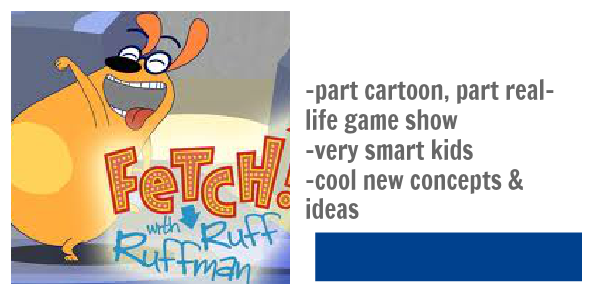 Fetch With Ruff Ruffman is part cartoon, part real-life gameshow, and ever since we saw our first episode several years ago, Maddy declared it was her dream to be one of the FETCHers and hang out with Sherya and the crew. The FETCHers go on adventures and challenges that take them to the coolest spots, learning and having a blast along the way. They have challenges–to build a bear-proof picnic basket or to bake a wedding cake for a wedding!–and they try to meet those challenges with the help of on-the-field experts. Great show, and again, great resources for follow-up. 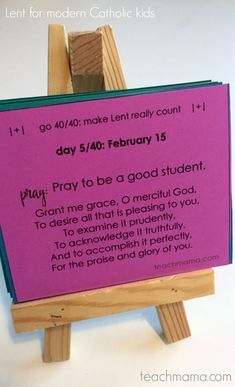 Good Luck Charlie: I hesitated on this one for a while because it seemed so ‘big’ for my littles, but it’s finally been approved in my book. I met the star, the delightful and talented Bridgit Mendler during a Give With Target event I attended in Baltimore, and I loved her. I even crowd-sourced my friends to see which ‘big kid’ shows they let their kids watch, and Good Luck Charlie came up again and again. It’s a family show about families. A big family with mixed-age kids and a mom who is always trying to re-live her days in front of the camera, it’s silly and light-hearted. And though the teen characters sometimes say silly things or get flirty, it feels to me like a good show to bridge the kid- and tween- years for Maddy. 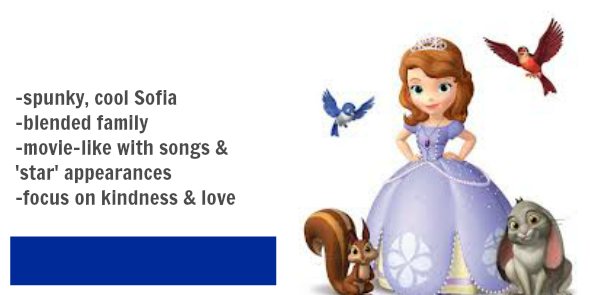 Sofia the First: Love this show. Love it. It’s like a mini-movie wrapped up in a 30-minute animated program for little ones. And though the age recommendation is like 3 or so (shhhh!) my Maddy and Owen both enjoy watching it-and never complain. Sofia’s mom remarried, and Sofia lands herself in royalty, complete with step-siblings and forest friends. I love the music in this one, and I love occasional visits from familiar Disney friends. Honestly, it’s a beautiful show with beautiful messages. Yes, yes, and yes. Doc McStuffins: It’s on the low end age-wise, I realize that–but my Maddy and Owen will still watch this show–and willingly. 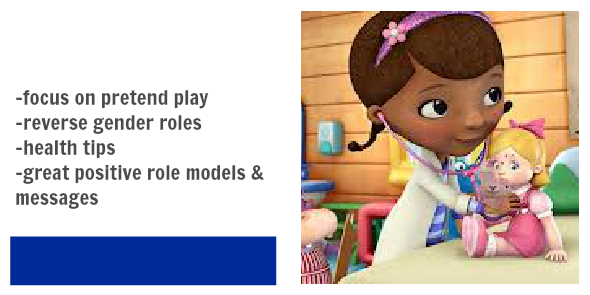 It’s a super-sweet show about 6 year old Doc McStuffins who takes care of her lovies and teaches viewers about health and well-being along the way. Cute characters and gentle storylines keep my kids coming back to this one, and I’m totally cool with it. I like especially that our main character is a female doctor because for goodness sakes it’s time. Television. It’s tricky. 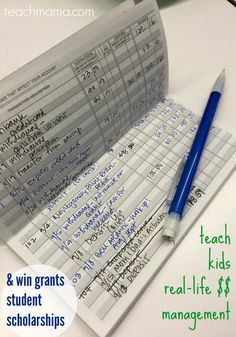 It’s for some kids but not all, and one program that may work for one kid may not suit another. Cora is still 5. But yes, she’ll be 6 next month. 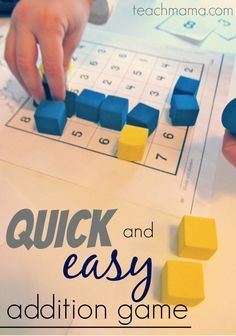 Don’t think I’m trying to push her little body along, forcing her to grow up too quickly, but the fact is that as many parents know, the older kids in the house tend to manage–or want to manage–the screen choices. I’m conscious of that, believe me. Maddy watched 30 minutes of Sesame Street while I made dinner up until the time she was 7 1/2–and I appreciated every minute of it. Though she may have complained–I’m the only first grader in the whole, wide world who has to watch Sesame Streeeeeeeeeeeet!— I was steadfast. If you don’t want to watch it, you absolutely do not have to, I’d tell her. Go upstairs and play while I make dinner and Cora and Owen watch the show. It’s a great show–and it’s part of the reason you’re as smart as you are–because I refused to let you let you sit in front of the tv watching junk for your brain. Your choice, my friend. I never felt bad about it. Never. Because I could–and still do–see the value in Sesame Street programming. But I did realize that when Cora hit 5 years old, she could handle the next step in programming for kids. I took a leap of faith (not a big one), asked my smart friends, did my research, and stuck with some names I could rely on: PBS and Disney. I also lean heavily on Common Sense Media for any and all programming questions I may have. It’s incredible. And it’s there to support families. And it’s free. And there’s an app. So it’s pretty much like a dream. And sure, we stray now and again, and the kids love an occasional Wheel of Fortune or Cupcake Wars, but for the most part? This is where we are, what we’re doing. Any other faves? Please let me know–I’m always willing to learn! fyi: Like I said, I rely heavily on Common Sense Media for all of my programming choices for Maddy, Owen, and Cora. Please do check them out: — and THANK YOU! to my friends at Common Sense Media! And in full disclosure, I am part of the PBSKids VIPS, but I was a longtime PBS fan well before I jumped on board as a VIP! Thank you!! We strictly limit our TV and do 1/2 hour of TV before dinner. Having a 4, 6 and 8 year old, its hard to please them all and some new shows (or reminders of old one) are great. I also use commonsensemedia a lot. Super excited to discover some of your suggestions free with Amazon Prime! Cathy–totally know where you’re coming from! Let me know if you discover any new and noteworthy in the next few months, and I do look forward to staying in touch! HUGE thanks for reading, and even bigger thanks for taking the time to write! How could you leave out “Martha Speaks” (http://pbskids.org/martha/)? It’s very well written, funny, and they’re able to work in lots of words without feeling forced. It’s one of the few shows (Fetch! is another) that I actually want to sit down and watch with my 8 year old. thanks for mentioning Martha!! Great pick! DANA! Totally forgot Arthur! Thank you so much for the reminder! And thanks for seconding Doc McStuffins for the 9yo’s!! Always appreciate you reading, my friend! I needed to see this. My poor 7 year old Beezus is still watching all the pre-school shows. I am going to ROCK HER WORLD (and her 5 yo sister Ramona) and record some of these programs. 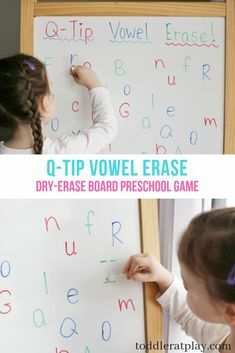 My kiddos are 4 and 5, so maybe these two trend younger, but they like Team Umizoomi and Little Einsteins in addition to these, oh, and Cat in the Hat! Erin! We are not familiar with Team Umizoomi (had to look twice to spell correctly! ), but Little Einsteins is def a once-in-a-while fave as is Cat in the Hat! 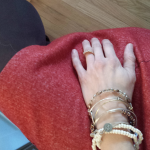 Thanks for sharing, my friend–and HUGE thanks for reading! Word Girl is a favourite of my Kindergarten kid. Same with Wild Kratts, Sid the Science Kid, Sofia The First, and Doc McStuffins. Super Why is a big hit with my 3 year old. And you forgot Dinosaur Train!! Tania! Thank you so much for taking the time to share–and YES!!! TOTALLY forgot Dinosaur Train. Thank you thank you thank you! Dinosaur Train is a FABULOUS pick. I have three girls 12, 8, and 3. 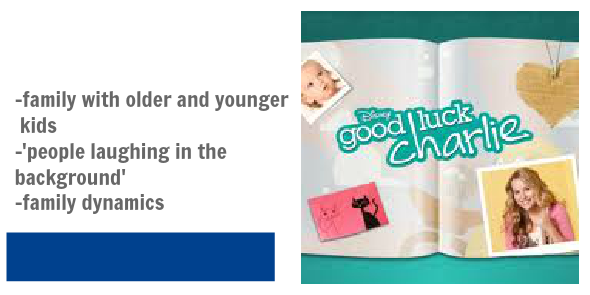 We also do Good Luck Charlie, but I don’t like how they put the dad down a lot. When I catch it I always put my two cents in and say, “That wasn’t nice, I’m glad you show more respect for your father than that.” But I agree over all it’s a good show for a large age range. We also bought a few seasons of the Cosby show on DVD and watch them as a family. Our girls love them and my husband and I enjoy re watching the shows we saw as kids. TOTALLY agree with you, Jessica. They also make the mom look like a star-crazed desperate actress–often laughs at her expense too. Grrr. We need a NEW Cosby Show! I think having a few seasons on DVD is a great idea–I will have to start searching! Thanks for the idea! !